At LaBell Exchange, we are dedicated to offering our Costa Mesa customers with exceptional telephone answering services at a great price. With almost forty years of experience in the telecommunications industry, we're a nationally renowned company that has served businesses of all sizes (single-person to multinational) and industries (legal to health care to service/HVAC). We utilize cutting-edge call center technology and employ a highly trained team of professional phone operators, who can screen callers, take messages, perform inbound telemarketing work, schedule reservations/appointments, dispatch emergency response teams, and more. A family-owned and -operated company, LaBell Exchange places a high value on courteous and personalized telephone answering services. To learn how our award-winning, local call center can enhance your Costa Mesa business, call us today. We offer customizable answering service plans that are competitively priced and available on a month-to-month basis. LaBell Exchange offers Costa Mesa businesses a full range of voicemail services. Whether you need one general voicemail box or a voicemail box for everyone in your company plus a voicemail tree, we can help. Our voicemail services are completely customizable and affordably priced. Call today for a free estimate. 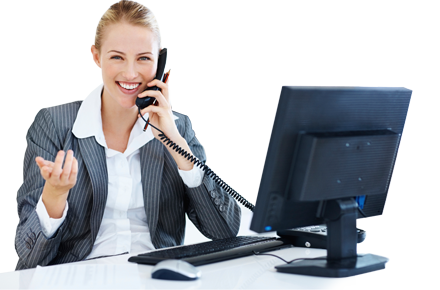 We help Costa Mesa businesses save money with our virtual receptionist services. Our live operators can answer calls for your company during business hours, presenting themselves as a member of your office staff. Depending upon your needs, our virtual receptionist service can include a wide variety of duties, such as answering customer questions, scheduling appointments, screening calls, taking messages, and more. LaBell Exchange is capable of setting up phone surveys for nearly any business in Costa Mesa. To help you manage your survey, we'll assign you a dedicated line, train our operators on your script, and submit survey results on an ongoing basis or in large batches. Phone surveys are a great way to hear from your customers and test your marketing efforts. LaBell Exchange provides order and message taking services as part of our Costa Mesa phone answering services. Clients are given the option of having orders entered into their company website or into our own internal system. For the latter, we create a custom form for placing orders. Orders are then either submitted on the spot or in batches, and sent either to a specified employee or department. For our Costa Mesa clients, we can deliver your messages via telephone, fax machine, email, or text. Advanced message delivery is just one part of our professional phone answering services. We'll work with you to create a customized account that meets your unique call center preferences and needs. We provide emergency and after hours dispatching services for businesses and organizations in Costa Mesa, California. Highly regarded for the professional demeanor, competency, and accuracy of our operators, we can be trusted to dispatch service vehicles for your new and existing clients. Our call center has been repeatedly recognized by the Association of TeleServices International (ATSI)--our industry's trade association--for our exemplary telephone answering skills and response times. We've won the prestigious ATSI Award of Excellence for seven consecutive years, and provide award-winning customer service to all of our Costa Mesa clients. By guiding callers through detailed questionnaires, LaBell Exchange's operators are able to determine if these callers meet your criteria and should be transferred to your employees. Our call center services start at just $39/billing cycle, which means that you can save time and money by having our operators be your front-line screeners. Call today to learn how we can assist you on all your information screening needs in Costa Mesa. We perform inbound telemarketing work for companies throughout Costa Mesa, California. 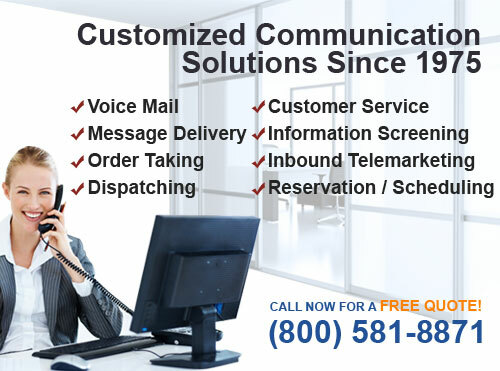 When clients send out mail emails and mailings that require live-person followup and the capacity to handle large call volumes, our experienced staff can answer phones, take leads, and guide callers through sign-ups and registrations. 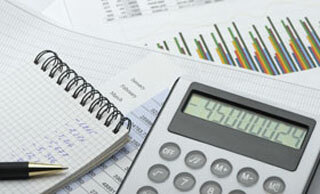 Our call center can also gather phone analytics to help you gauge the success of your telemarketing project. At LaBell Exchange, we're highly skilled in managing calendars and scheduling reservations and appointments for conferences, seminars, campaigns, and more. We've worked on short- and long-term projects across all industries, and provide many customized phone answering options for our Costa Mesa clients. In business since 1975, LaBell Exchange has served many medical and dental offices throughout Southern California. Our experienced phone operators understand the importance of protecting patient health information, and we work with our clients to ensure HIPAA compliance. We personalize each call center account to meet the unique needs of our clients and provide them at cost-effective rates. We can act as your virtual receptionist, provide after hours answering services, route calls, create voicemail trees, and more. We'll work with your Costa Mesa office to create a custom script and establish emergency protocols, including whether you want our operators to first screen patients or immediately connect them to their doctor or dentist via pager, text message, or phone. At LaBell Exchange, we are proud to provide small businesses in Costa Mesa with an easy way to manage their calls, improve their customers' experience, and reduce their overhead costs. Over the last 40 years, we've worked with Costa Mesa's small businesses to answer phones, take messages, set up voicemail, provide customer service, and dispatch service providers. Our advanced voicemail accounts can incorporate both automated attendant and live operator services, and we can customize your account to send out messages as we receive them or in grouped batches, via fax, email, or text. Past clients have included landscapers, roofers, towing companies, plumbers, heating and air conditioning companies, and bail bonds companies. LaBell Exchange serves a diverse array of industries in Costa Mesa, California. Known for our superior customer service, our company has provided comprehensive call center work for customers in the healthcare, legal/attorney, municipal, bail bonds, and property management industries. Our projects include performing inbound telemarketing work after a mass mailing campaign, scheduling reservations and appointments for an upcoming seminar, and guiding callers through a survey for their local municipal water district. We have the experience, technology, and skill to provide service that is customized to meet the needs of your particular project. We answer phones 24 hours a day, 7 days a week, and maintain access to a third party translation line to ensure that we are able to assist all of our callers. Our staff includes several bilingual (English and Spanish) phone operators.